A credit card for business can offer multiple benefits, including convenience and flexibility. However, small business owners may have trouble getting approved for business credit cards, and they might also find that the cards carry high rates of interest and substantial annual fees. A debit card for business from Bento for Business may be a better choice for small business owners and still offer the same type of flexibility that the business needs. In order to get a credit card for business, a business owner will need to find an appropriate card and apply for it. Many companies will decline applications from businesses that are new because they haven’t been in business for long enough to have established good credit histories. Some credit card companies will want to review the personal credit histories of the owners before making their decisions. If the owners have marks on their credit, they may be denied. Credit cards are desirable for businesses because of the flexibility that they can provide. Employees can make the purchases that they need when they need to do so instead of waiting for signatures and approvals. The purchases that are made on the cards can be easily seen and entered into the company’s accounting software when the credit card statements arrive each month. Credit cards can also help companies to avoid employee reimbursement systems, helping to eliminate burdensome paperwork. Small business owners might want to consider business debit cards as an alternative to credit cards. 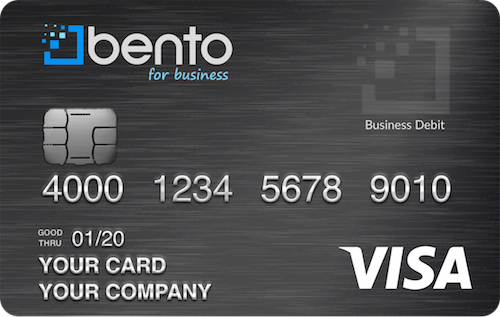 Bento for Business offers business debit cards that have multiple advantages over traditional corporate credit cards. The cards are prepaid debit cards, which means that the balances do not accrue interest charges. 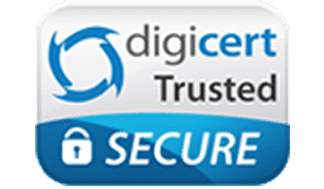 When business owners apply for the cards, their credit histories are not checked since they are not traditional credit cards. The approval process is also substantially faster. The debit cards are Visa®, allowing workers to make the purchases that they need for businesses whenever and wherever they need to do so. Bento for Business offers several features that might make its debit cards a superior choice for businesses. These cards can help small business owners to prevent employee thefts and fraud. Business owners deposit money into accounts that are FDIC-insured to at least $250,000 through The Bancorp Bank; Member FDIC. The business owners can then use money from these accounts to place funds on each card that they plan to give to individual employees. The employees can be limited to daily spending amounts in specific categories of spending. One employee might be able to purchase gasoline at the pump while another might only be able to purchase office supplies. Any employee who attempts to buy something with his or her card will be denied. Business owners are given access to secure dashboards that they can view from their computers or mobile devices. The dashboards allow them to see all of their employees’ debit cards and what has been spent. Business owners can turn the cards on or off instantly with a touch or click. At Bento for Business, new customers can enjoy a free 60-day trial. After the trial period are over, businesses can continue with up to 10 cards for as little as $29 per month. Start today by completing our online application form or call us at 866.220.8455.